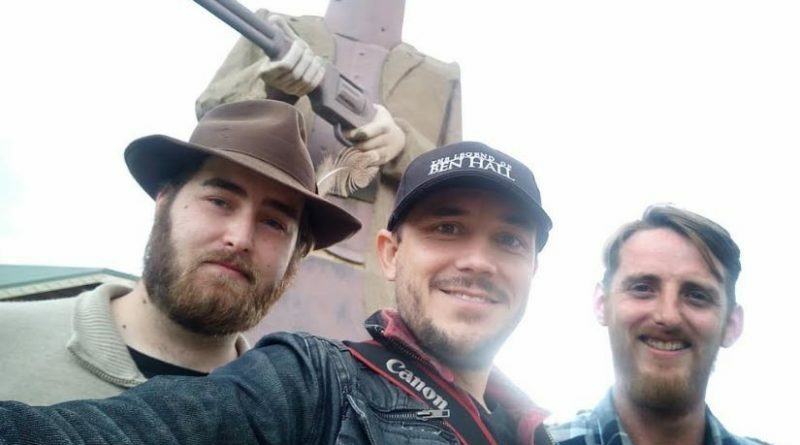 The creative team behind 'Glenrowan' - (from left to right) co-writer Aidan Phelan, co-writer and director Matthew Holmes and historical consultant Steve Jager. Castlemaine has been chosen as the base for next year’s anticipated filming of Glenrowan, the latest ambitious film project of established filmmaker Matthew Holmes. 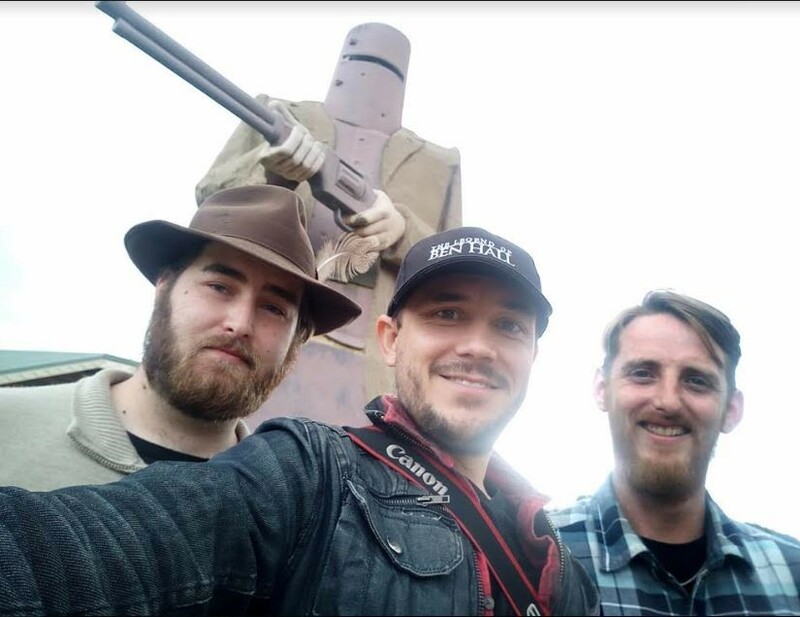 Holmes is the filmmaker behind 2016 bushranger film The Legend of Ben Hall and with Glenrowan turns his attention to portraying the final 48 hours of Ned Kelly’s life as a bushranger at large. A private property just out of Castlemaine will serve as the site for set construction for a replica Glenrowan township, synonymous with the famed outlaw, while the local Victorian Goldfields Railway with its heritage line, stations and rolling stock will also play an important role. “The entire production will be based out of Castlemaine,” Holmes says. “The cast and the crew will stay in Castlemaine. Our production office and base will be in Castlemaine. “Our set is between Castlemaine and Maldon about 11 minutes out of Castlemaine. 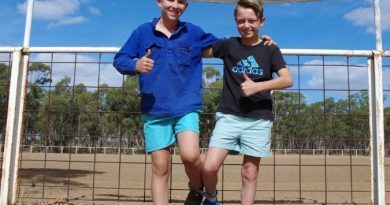 “We have an agreement with the owners of a private property to build the Glenrowan set and that’s where we will film a good 90 per cent of it. One of the stars of The Legend of Ben Hall, Callan McAuliffe (The Walking Dead) is now in talks to play Kelly and efforts are focused on locking in finance. “At the moment we are pitching the movie to various investors in Australia and around the world,” Holmes says. Notably, next year’s anticipated Glenrowan shoot enhances VGR’s reputation as the go-to place for filmmakers in need of heritage rail scenes, the local tourism railway’s Jonathan Newton says. Several scenes for another entirely separate current film production also dealing with Ned Kelly, The True History of the Kelly Gang, were also shot using the VGR tourism line, the vintage Muckleford station and VGR vintage rolling stock back in July, with that film now in production and expected to be released next year. Mr Newton says hiring VGR heritage assets out to filmmakers has become a handy money-spinner toward raising funds for the local tourism railway’s significant restoration works and upkeep. “What it really means is that we are the go-to heritage railway for TV and film crews who need to have a historical railway,” he says. Meanwhile Holmes says his production company Two Tone Pictures will be looking to use locals as extras in next year’s anticipated filming of Glenrowan. “We want to source all our extras from the Castlemaine and surrounding areas so there will be a lot of opportunity for people to get involved in the film,” he says. 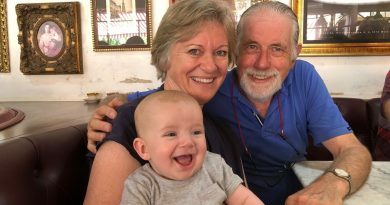 Those keen to secure an extra role – or to contribute to an upcoming crowdfunding campaign similar to that which proved successful in making The Legend Of Ben Hall – are advised to keep an eye on the Glenrowan – The Movie Facebook page. “People should look for that early in the new year,” Holmes says. 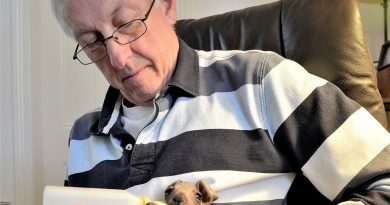 Local wildlife rescuer Ian Slattery with orphaned kangaroo joey Charlie who lost his mother to road trauma.